A legislative committee may consider a bill next week, with input from mental health interests and state officials, to address the tenuous status of the state hospital, which could lose $20 million in federal funding. AUGUSTA — A legislative committee may consider a bill next week to address the tenuous status of Riverview Psychiatric Center, which could lose $20 million in federal funding next month. Thursday, the Legislature’s Appropriations and Financial Affairs Committee agreed to have a panel of mental health interests, legislators and state officials take a look at, and possibly broaden, a bill that would establish a new mental health unit at the state prison. But that bill is likely to be a long-term fix, not a solution to Riverview’s current troubles with the federal government. Last week, the federal Centers for Medicare and Medicaid Services told the Maine Department of Health & Human Services that because the hospital is out of compliance with federal law, $20 million in federal dollars — more than half of the 92-bed center’s budget — could stop going to Riverview as of Sept. 2. Two previous plans to fix the problems have been rejected, and if a corrective plan proposed by the state and sent to the federal government Aug. 16 isn’t approved by Sept. 2, the embattled state-run hospital on the capital city’s east side would lose its federal certification. 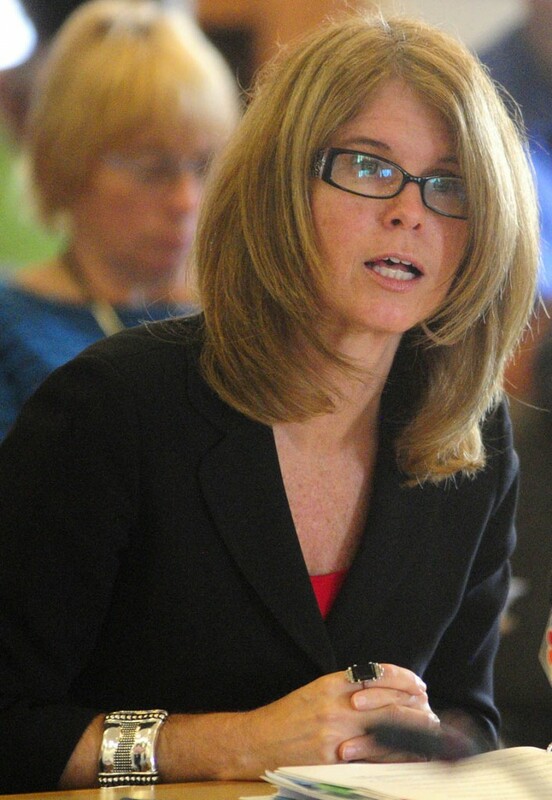 Department of Health & Human Services Commissioner Mary Mayhew told members of the Appropriations Committee Thursday that she believes a “vast majority of deficiencies that have been identified have been addressed” by the lastest correction plan. The Kennebec Journal reported Wednesday that a main reason the federal government has threatened to withdraw funding was the use of stun guns and handcuffs by Kennebec County corrections officers to subdue aggressive patients. Crowding, inadequate staffing and mingling of civilian and forensic patients — those referred by Maine’s judicial system — were also cited as reasons. After questioning Mayhew, Riverview Superintendent Mary Louise McEwen and corrections officials on Thursday, the committee agreed to assemble the group to examine possible additions to the bill that would establish a new mental health unit at the Maine State Prison in Warren at a cost of more than $3 million. Committee members said when they convene next Thursday they may consider broadening that bill, L.D. 1515 — which was proposed by Gov. 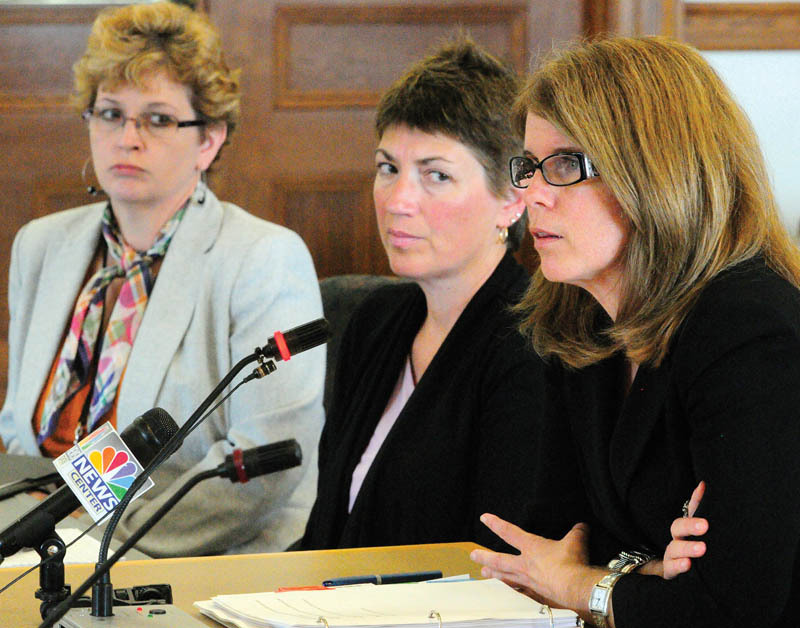 Paul LePage’s admininstration — with the group’s recommendations. Central to the state’s short-term correction plan for Riverview, Mayhew said, is federal decertification of 20 beds in Riverview’s Lower Saco Unit, where corrections officers used stun guns and handcuffs to control patients. The unit segregated forensic patients from the rest of the Riverview population. Decertifying the beds would mean the state wouldn’t get federal reimbursement for them under Medicaid, the federal health care system for the poor, and Medicare, the system for the elderly. Many sent to Riverview are found not criminally responsible or must be evaluated before standing trial. Joseph Fitzpatrick, clinical director of the prison system, said the prison has a 32-bed mental health unit. If L.D. 1515 passed, it would retain some beds there to serve the prison population. In the long term, the state wants to establish the mental health unit at the state prison, which it would oversee it alongside Maine’s Department of Corrections. In the past few years, some violent Riverview patients have been shuffled between the hospital and the prison, seen by many as the only place they can be safely kept. Mark P. Murphy, 47, formerly of York County, is one of them. He pleaded not criminally responsible to charges of elevated aggravated assault in a mental health worker at Riverview Psychiatric Center in March. He has been in DHHS custody for seven years. A report to Kennebec County Superior Court by Riverview in April 2007 said within six weeks of Murphy’s arrival at the hospital, “he had committed three assaults on staff members, the third assault was nearly fatal.” Court records show the hospital reported that Murphy assaulted a patient with a fork in 2007. Former Maine Supreme Judicial Court Chief Justice Daniel Wathen, who oversees a long-standing consent decree that settled a lawsuit by mental health advocates that holds the state mental health system to agreed-upon standards of care, said the Legislature should work on the bill as part of a long-term solution. “I don’t know that it has a whole lot to do with the current dilemma with CMS, but it is part of the atmosphere,” he said.